Changing themes in WordPress used to be a hassle. Once you found a theme you liked – if you found a theme you liked – you’d have to make the change, upload your custom header (if you used one), and reset all your widgets. It used to be a good time to update your blogroll and any other outdated thing in your collection of craptastic. It was also tedious and a particular pain in the rear. So, when I finally found a theme I really, really liked, it gave me pause before I decided to change it. Normally, I test those things on my fiction blog, because it’s more static than this one. It also gives me some idea of how much work it will be to do the updating after converting. My loving spouse has done all the tedium for me for the last couple of years. She’s very, very good at it, and seemed to enjoy the process. (She didn’t cull dead links though.) So while I was under the weather the last couple of days, I decided I’d update my blog with a new theme and see how it went. It went swimmingly, frankly. It was awesome. WordPress did all the hard work for me. The widgets from my sidebar automatically migrated to their corresponding locations in the footer area. My wife didn’t have to do a thing. I took the time early to make the banner ahead of time. Then I discovered it worked on my former theme, so I put it in place to see how it’d look. Unfortunately, as good and easy as the migration algorithm is, it didn’t pick up the header image and I had to re-upload it. Interesting note, the preview page for my blog didn’t accurately reflect the position of the new header either. So, I took my wife’s advice and made a background image of a star field, uploaded it along with my header, and voila! What you have before you is what I’ve come up with. I hope you’ll enjoy it as much as I do. I’m also considering buying my domain name (again) and just…using this site for my web page. (My author site as well, because with just a couple of extra steps, I can actually allow downloads of my books.) Any thoughts on that from you all? Have a great weekend everybody, and I’ll see ya on the other side. 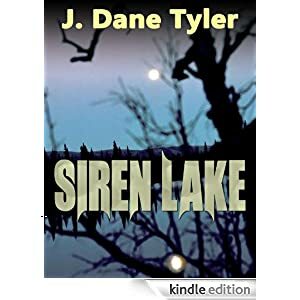 My newest release, Siren Lake, is now live on Amazon’s Kindle store for a paltry 99 cents (as opposed to the 99 dollars I erroneously tagged it with before)! Get me! 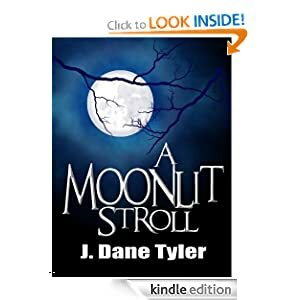 I’m so busy telling you all ’bout my li’l adventures in story structure, I forgot all about my short story collection, A Moonlit Stroll, being FREE this week for Kindle! It’s only until Friday, July 6, 2012, though — that’s this coming FRIDAY! So get over there and get your copy today! If you like it, tell your friends to get it too! HURRY!